Embed mobile-friendly PDFs easily in WordPress - and prevent your viewers downloading or printing your original files. Our mobile PDF viewer is as easy to use as uploading an image into WordPress, and does not rely on any third party services or iframes. Find out more and Purchase! 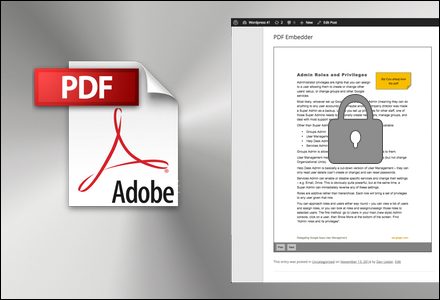 Our premium Secure PDF Embedder allows you to show your PDF documents to your visitors without them being able to download the PDF itself to share outside your site!